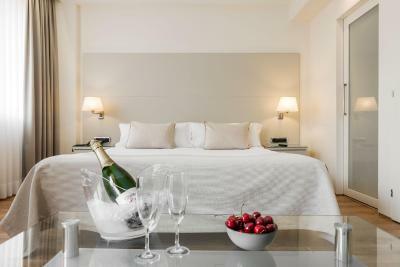 Lock in a great price for Aparthotel Mariano Cubi Barcelona – rated 8.4 by recent guests! I like that all the staff is really good and always smiling. The bed is comfortable and even though the balcony is really small but its cute to take picture on balcony and enjoying the neighborhood. If you like to walk and using Metro, its easy to go everywhere. I like that they provide kitchen so we can cook there. 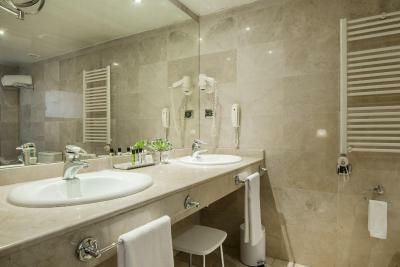 All the cleaning lady are very very friendly and helpful. Big and clean rooms. Good location in a nice and quiet neighborhood. 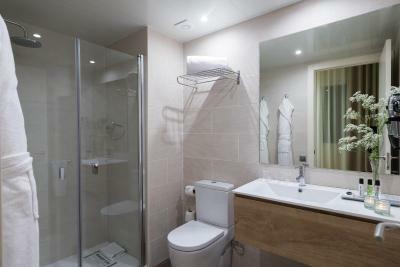 Well equipped and spacious rooms. The hotel is very neat and conveniently located. Good breakfast. The location of the property was great, very central. Also nice to have a little window facing the courtyard to where you see locals living. The staff and the hotel itself! It was just unbelievable! We had a very good stay. 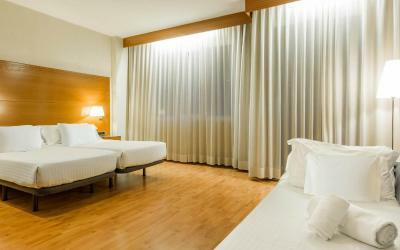 Rooms are very different in size and services available, check the offering carefully before booking. Overall happy and likely to go back. I like everything about this hotel especially person from the reception they are very helpful donot hesitate to give information about anything you ask and the room was awesome big clean nice bed and other facilities.me and my partner been to many places this vacation like paris rome malta and some other places but the hotel wise I like this hotel the most very nice.in future if i come to barcelona again I would definitely like to stay here. Aparthotel Mariano Cubi Barcelona This rating is a reflection of how the property compares to the industry standard when it comes to price, facilities and services available. It's based on a self-evaluation by the property. Use this rating to help choose your stay! One of our best sellers in Barcelona! 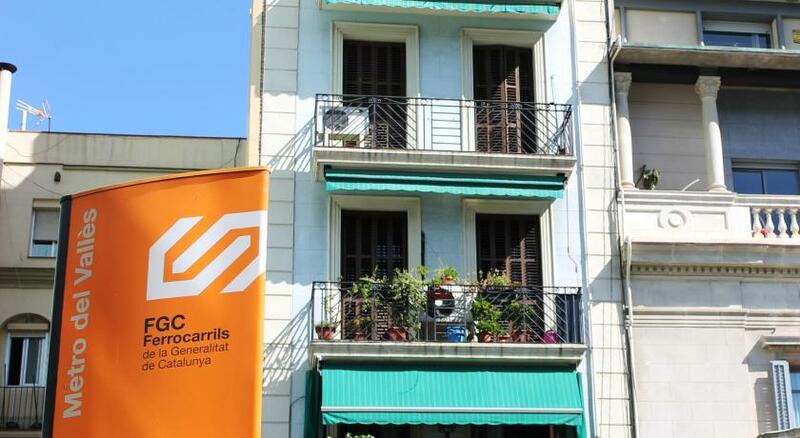 Aparthotel Mariano Cubi can be found just 650 feet from Barcelona’s Avinguda Diagonal and 15 minutes' walk from Passeig de Gracia. It offers air-conditioned rooms with free Wi-Fi and some have a kitchenette. 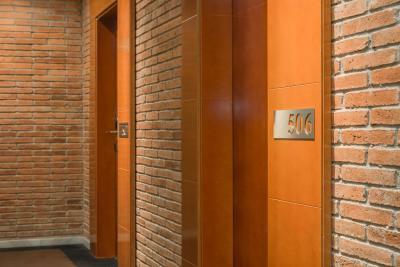 All spacious rooms have wooden floors, satellite TV, and a desk. 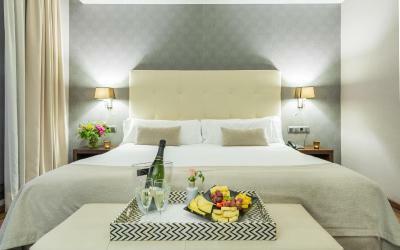 Guests receive a free glass of cava on arrival. 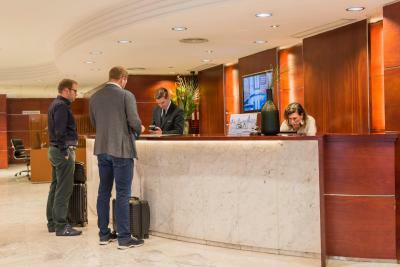 The Aparthotel Mariano Cubi's tour desk can help guests plan their stay in Barcelona. There is also a free business center with internet access. The area has a wide range of shops. Fontana Metro station is about 1,650 feet away and Gràcia FGC Station is only 500 feet away. From there you can get to Plaça Catalunya and the Ramblas. Gaudí's La Pedrera is about 20 minutes’ walk away. 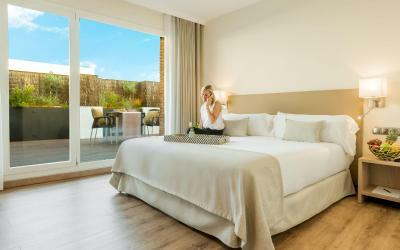 When would you like to stay at Aparthotel Mariano Cubi Barcelona? 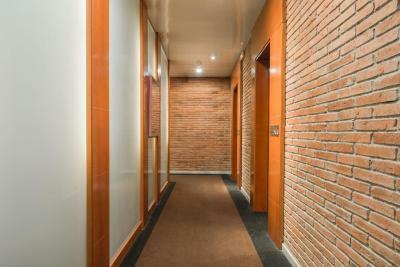 This modern, air-conditioned room has stylish décor and wooden floors. It includes free WiFi and satellite TV. All rooms have tea and coffee-making facilities. 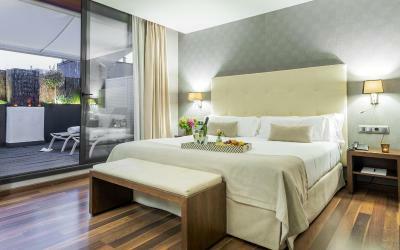 This modern, air-conditioned room has stylish décor and wooden floors. It includes a kitchen, free WiFi and satellite TV. All rooms have tea and coffee-making facilities. Please note that the hotel considers children to be aged under 12 years. 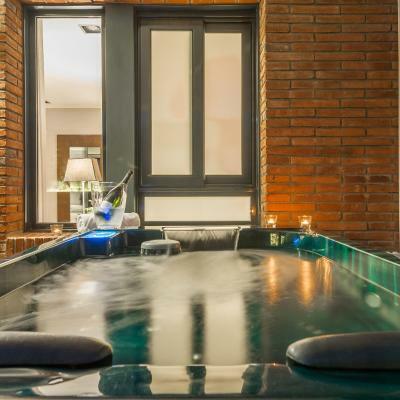 This modern, air-conditioned room has stylish décor and wooden floors. It includes free Wi-Fi and 49-inch curved smart TV. All rooms have tea and coffee-making facilities. 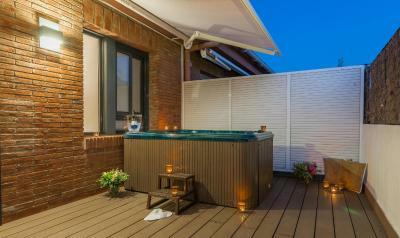 There is a 98 ft² sun terrace with loungers, a hot tub and bathrobes and slippers are included. This apartment comes with wooden floors, 1 queen size bed, 2 single beds and 32" LCD TV. 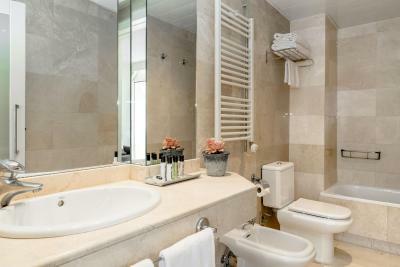 There is also a private bathroom, a kitchen and a desk. 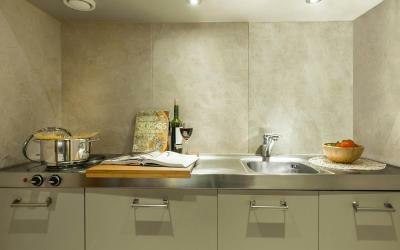 This modern apartment comes with air conditioning and parquet floors. Rooms come with coffee and tea facilities. There is a kitchenette, free WiFi and satellite TV. Elegant and bright, this 98 ft² double room is fitted with wooden floor and comes with a double bed, a lounge with a 49-inch curved smart TV and a 98 ft² terrace. 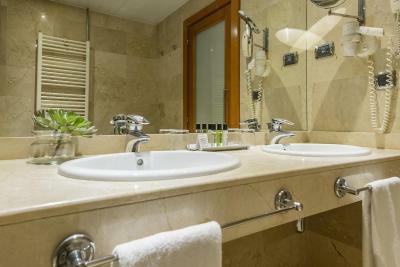 The bathroom comes with a rainfall shower and bathrobes and slippers are included. 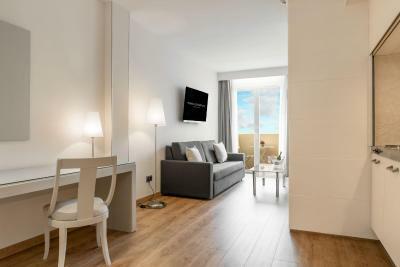 Mariano Cubi Aparthotel Barcelona has 67 en suite rooms, 35m2 and perfectly equipped with an open plan kitchen, and a wide variety of room types. 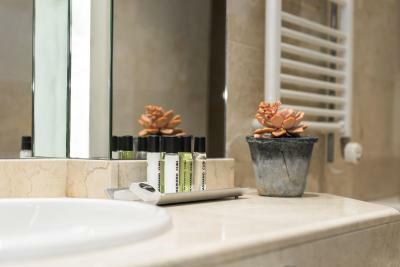 Depending on your requirements, we can offer you different types of room and services, always aiming to ensure your stay is as comfortable and relaxed as possible. 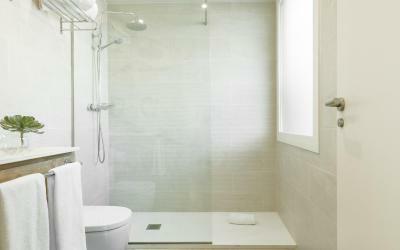 House Rules Aparthotel Mariano Cubi Barcelona takes special requests – add in the next step! 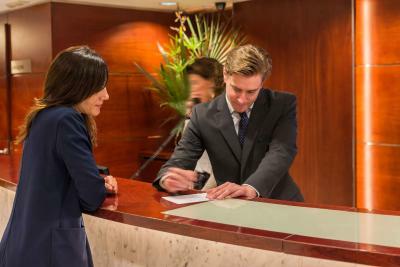 Aparthotel Mariano Cubi Barcelona accepts these cards and reserves the right to temporarily hold an amount prior to arrival. They charged us near 10 Euros as tourist tax, however it was mentioned in the Booking.com that the price is including taxes. 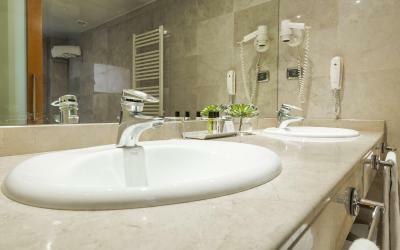 The only issue was in the wc, as there was enough leak of water on the floor, when we were opening the washbasin. Location is not very central. To get to attractions you have to catch metro and its a long walk to metro station about 1km We had breakfast in our stay but it doesn't have much variety. It suppose to be hot breakfast which starts 7.30am till 10.30am. If you go for breakfast at 9am you will all cold including eggs all type like fry boiled and scrambled which was disappointing. And also there is no choice for vegetarian. Like room size and also its newly built and clean. Great hotel with huge rooms and helpful staff. Keep in mind that it’s not in the center but the area is safe and lovely, with lots of good restaurants and bars around. The rest can be reached on foot, by taxi or public transport fairly easily. a really comfortable stay. And great value for money! On our last night there was a lot of shouting / loud noises from outside (around 0230) although I wouldn’t say this is the hotels fault, this could happen any place. Although some more coffee in the room would would be appreciated! The ‘balcony’ area was nice. Rooms were spacious. Internet television meant I could log into my Netflix/amazon prime and watch TV in the evenings. Didn’t use the bar or dining’s areas as we were out from dawn til dark! However they looked okay. Asked for double bed but got two singles with a double sheet over them. Staff lovely and friendly. Rooms were nice and comfy beds. Overall nice hotel in great location! The shower was simply not hot. It was lukewarm at best. My partner basically had to skip her shower as it was too cold for her. Also, sound proofing is not great. We could hear conversations in the next room and all doors were generally spring loaded and very loud when people came and left. Providing ear plugs might be a good idea or better yet, sound proofing the rooms. Can’t adjust air conditioner, so during our stay night we have to open windows but around 2am always annoying on street make us hard to sleep. One of the elevators was having an issue while I was there, which was inconvenient, but not prohibitive. The hotel was clean and spacious. The bed I was on was a bit hard for my liking, but overall still good and comfortable. The breakfast was stupendous! The people were helpful and kind. It was the second time that we stayed in this hotel. It’s always an excellent experience! 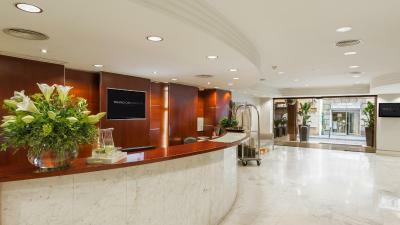 The hotel is in a good location and has a very friendly staff , also is walkable to restaurants, bus stops . 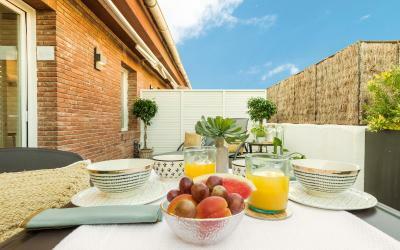 The entire property is kept pristine and the rooms are a good size with large terraces/ patios. 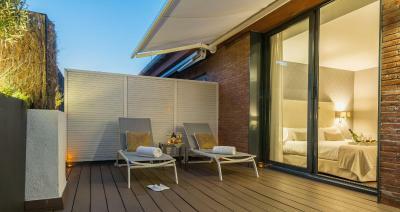 Nice big terrace attached to room.